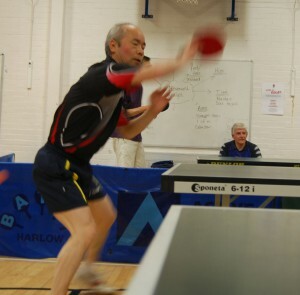 We enter teams into the Cambridge & District Table Tennis League. You can track progress of our teams on the league website. The league runs from September to April. There are five divisions, each with 10 teams. Each team includes 3 players. On a match night all players play each other (9 singles) and there is a doubles match too. Matches start at 7.30pm and usually finish around 10.30pm. In the 2016/2017 we enjoyed good success. Our 5th team won Division 3, our 1st team finished second in Division 1, our 8th team finished second in Division 4 and also won the league Handicap Cup competition. If you’re interested in playing in the league, please contact Kwok, or speak to one of the club players on practice nights.